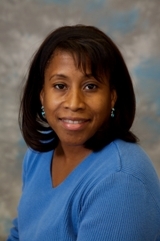 Dr. Graves is a graduate of Baylor University where she received honors. Dr. Graves received her medical degree from the University of Arkansas for Medical Sciences and was recipient of the Purdue Fredrick Award for Excellence in Women’s Healthcare. She completed her internship and residency at Vanderbilt University Medical Center. She completed her Maternal-Fetal Fellowship at Vanderbilt University. During her fellowship, Dr. Graves received special training in Obstetrical Critical Care and is a nationally recognized expert in maternal disease states. She subsequently served as the director of Obstetrical Critical Care, the director of the Maternal section of the Division of Maternal-Fetal Medicine, the Division Director of Maternal-Fetal Medicine and the Assistant Dean for Diversity. She is currently the Medical Director of Tennessee Maternal Fetal Medicine and the Medical Director for Perinatal Services at Baptist Hospital. Dr. Graves is extensively published and has received numerous teaching, research, professional and community awards. She has been actively involved in research and has served as an investigator on studies involving asthma, HIV, diabetes, and drug addiction during pregnancy. She is also proficient in Chorionic Villus Sampling (CVS) and is NTQR certified. Recognized as a “Top Doctor in Obstetrics and Gynecology,” Dr. Graves is frequently invited to share her expertise in both national and international forums. She was also recently selected among Nashville Business Journal's Best Doctors of 2014.